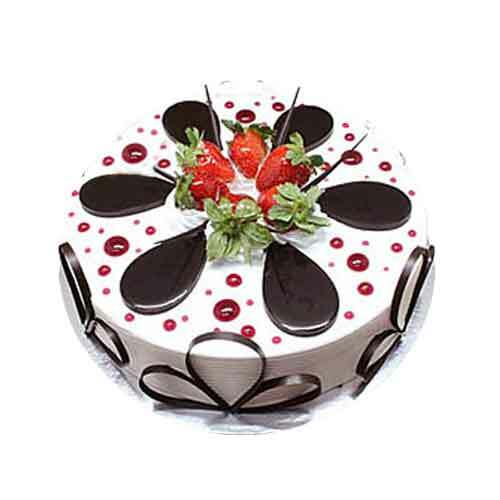 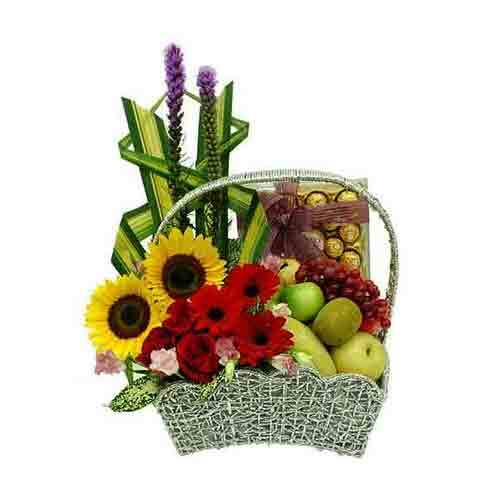 Description: Adorn your relationship with the people close to your heart with this Wholesome Pure Elegance Gift Basket of Fruits and make it more lovely. 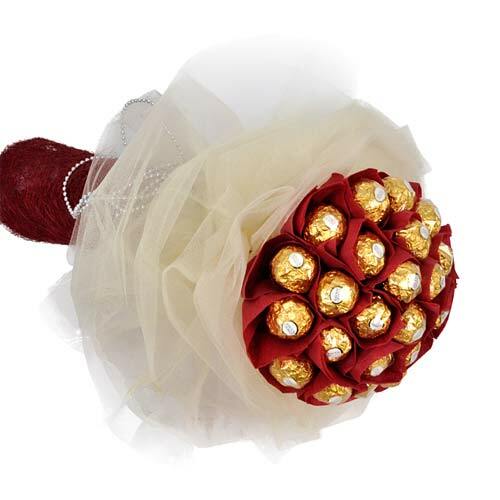 This charming Gift Basket offers various Fruits and Ferrero Rocher Chocolate � 24 Pieces finished with Liatris, Sunflowers, Red Roses and Red Gerbera. 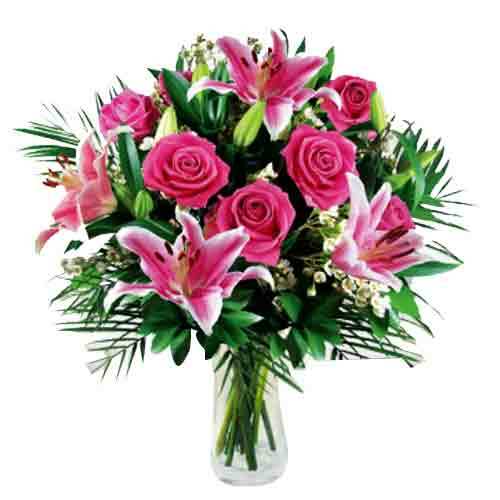 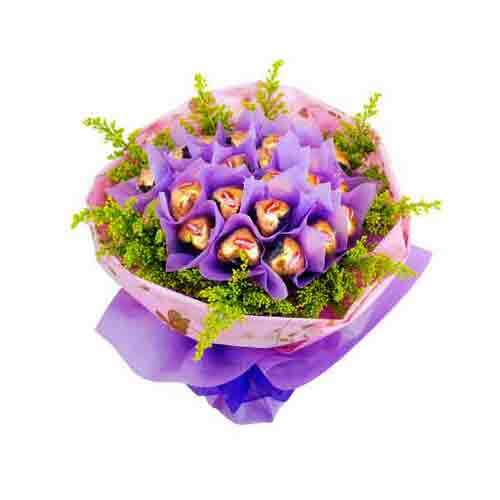 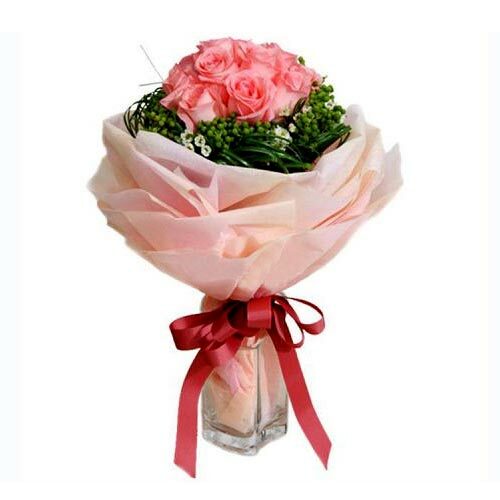 Send with your love to your dear ones, this Pretty Adrenaline Blush Bouquet to enchant them with its beauty. 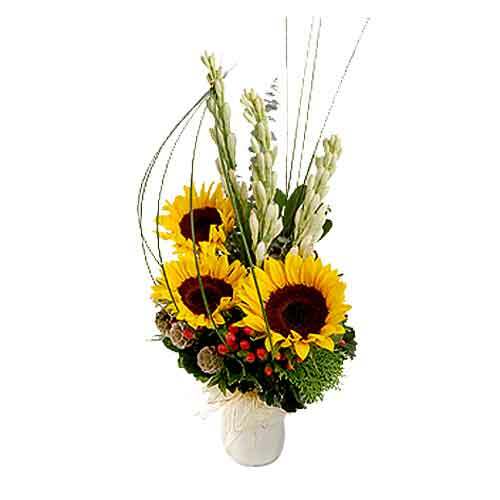 Our bestselling holiday Arrangement is hand-designed with fragrant mix of Sunflowers and Tube Roses in a classic Tin Pot.